People love to customize their puters. You want a certain color, a certain background wallpaper, and some people go so far as to use a theme that will even change icons. 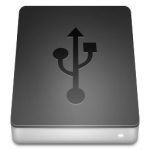 You may know about changing your removable drive icons, especially if you read my ancient article Autorun Fun: Customize or Repair Autoplay for an External Drive. What you may not know is that the same simple technique can be used on fixed drives. You can customize the icons for all of your drives – even internal hard drives – in just a few easy steps! Let’s say you have just purchased an external harddrive case, and stuck a spare harddrive in to make your own external backup drive. Or, maybe you have an existing external drive or USB stick that you wiped clean. In both cases, you may find that your drive no longer triggers the AutoPlay feature in Windows. In fact, it may not even automatically show up in Explorer at all! It’s surprisingly easy to fix such problems by creating a new autorun.inf file on the external storage device.